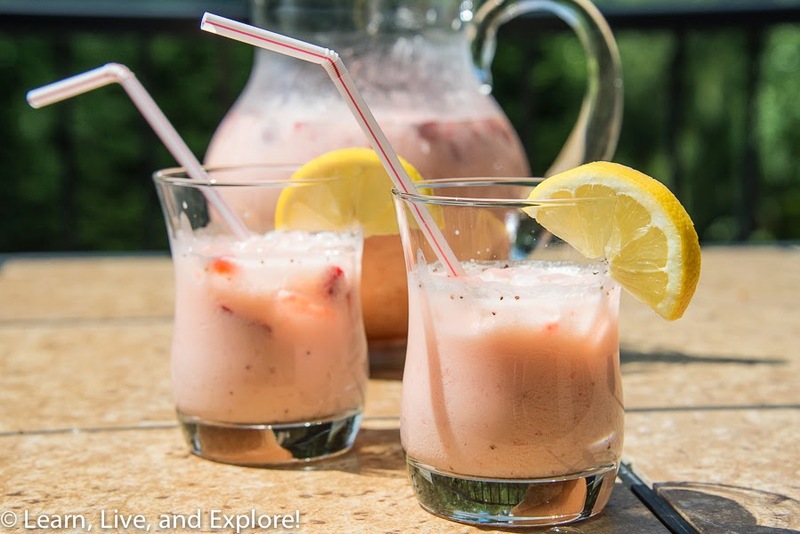 Summer Drinks: Farmer's Lemonade ~ Learn, Live, and Explore! I am a fanatic for strawberry lemonade - especially the bottomless offer at Red Robin! When I first saw this recipe, I questioned the addition of cream to one of my favorite drinks, but I should know not to judge a book by its cover! I'm not sure what makes this a "Farmer's" lemonade, but it sure is good!